2.) Disney’s Wilderness Lodge Bus Stop – Each Disney Resort in Walt Disney World features its own theme that is beautifully brought to life through details, décor, architecture, music, and more. Disney’s Wilderness Lodge is one of the most popular Disney Resorts thanks to its proximity to the Magic Kingdom and its rustic and beautiful feel. 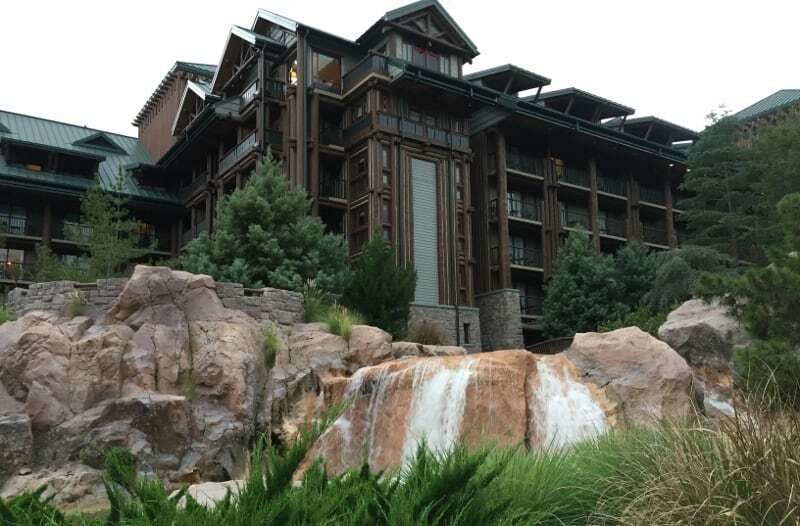 The Disney Resort is designed to bring the spirit of the National Parks to life through a grand lodge that features wooden accents, dark green panels, and lots of rustic comfort and charm. Guests who visit Disney’s Wilderness Lodge can opt to travel to the Disney Parks, water parks, and Disney Springs by either a small boat that accesses the Magic Kingdom or buses that travel everywhere else. The outdoor bus stop at Disney’s Wilderness Lodge is home to three different pressed penny machines, two of which take pennies and one of which takes a quarter, and guests can choose between 7 designs. The quarter design features Woody and Buzz Lightyear with the Walt Disney World logo and the word friends and the penny options include on that simply says ‘happy,” Simba, Gill from Finding Nemo, Pocahontas, Winnie the Pooh and Piglet, and Meeko from Pocahontas.